4 Bedroom Detached House For Sale in Milton Keynes for £575,000. A stunning detached family home in the very popular area of Middleton in Milton Keynes. This very well presented house is situated at the end of a no through-road and thus is not disturbed by passing traffic. The property has beautiful views over park land and the river Ouzel. 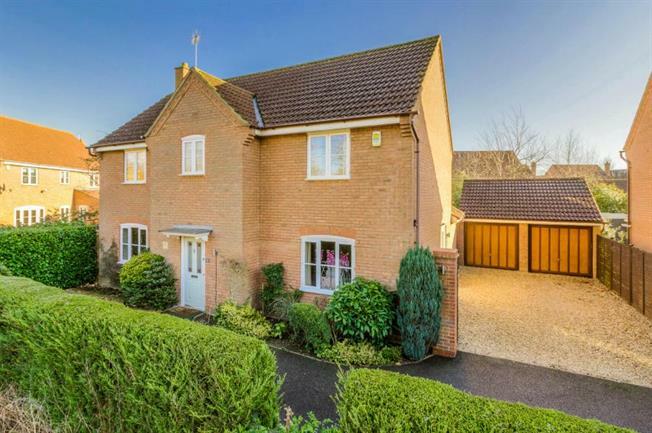 Other benefits include a double garage with private gated driveway, further driveway parking, full double glazing, gas to radiator central heating and gardens to the front and rear. The accommodation briefly comprises of: Entrance hall, lounge, dining room, study, kitchen, downstairs cloakroom, first floor landing, master bedroom with fitted wardrobes and en-suite, three further double bedrooms (two also with fitted wardrobes) and family bathroom.